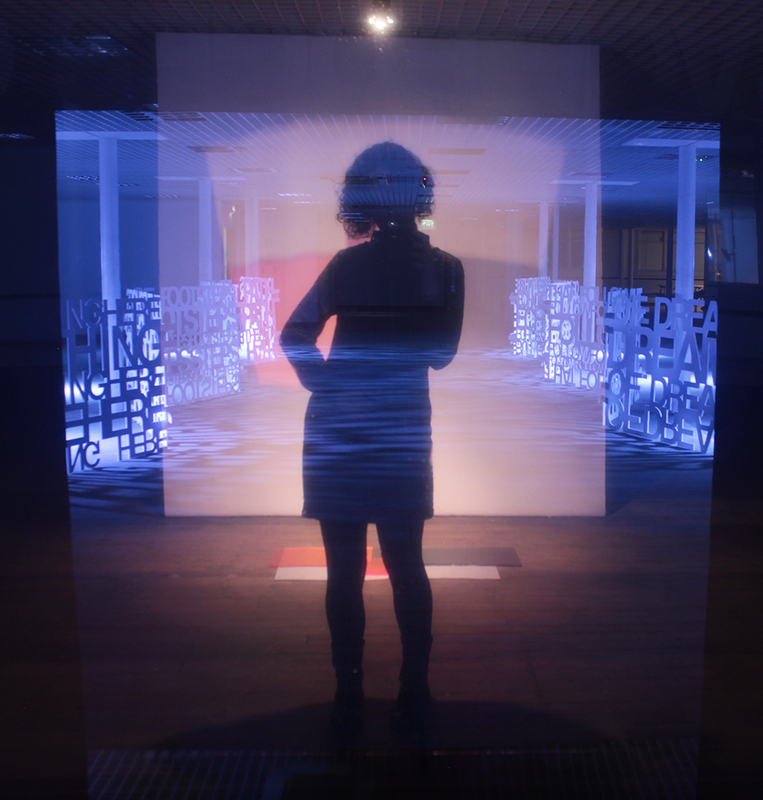 I exhibited my Arts Council England supported work ‘Light Holds Me Here‘ at Federation House, Castlefield Gallery New Art Spaces in Manchester 24th-28th September 2014. 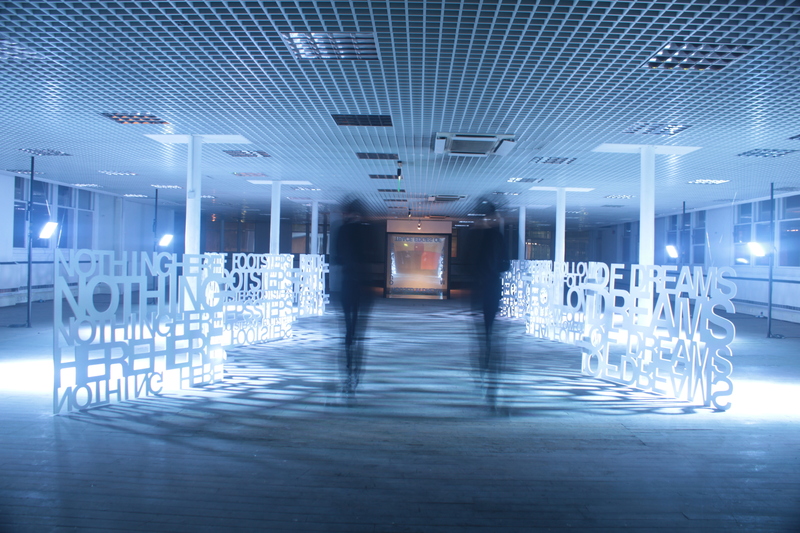 I’d been exploring the themes of desire and void through new writing and presented it in a large-scale installation using light and shadow effects. I developed the work as something akin to a dream world, one which tracks a domestic space but is presented in abstract and sculptural form. I wanted the space to be something the visitor could become a part of, to experience the light and shadows for themselves and to follow the loose narrative I presented. 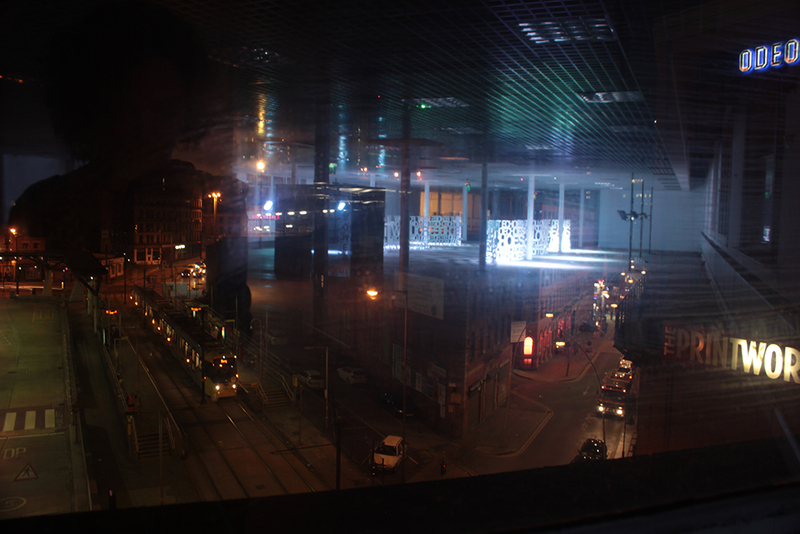 The windows in the space had been covered with two-way mirror, so you could see out in the day time but at night the work took on a very different quality as the windows turned into mirrors and reflected the whole installation over and over again. 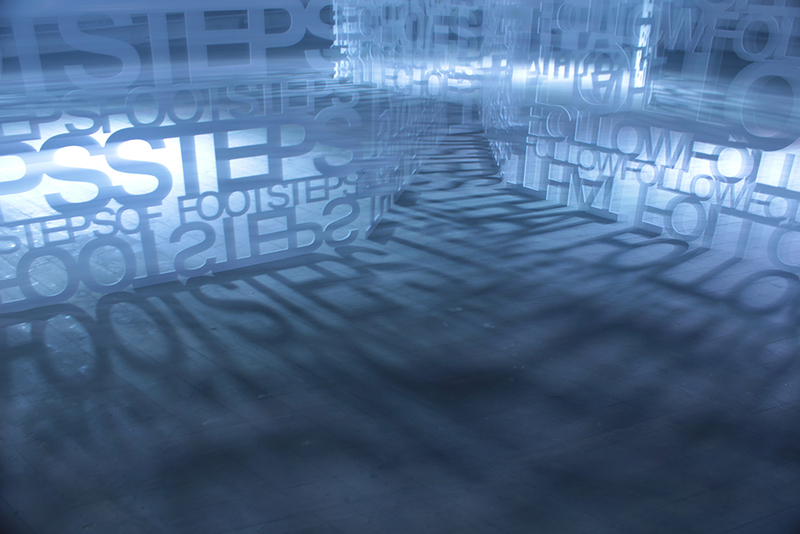 The clarity of reflection and the shadow path words reflecting the right way in the mirrored windows gave the effect of many alternative spaces. I was really pleased with the result of the work as I was never truly going to know how it would look until it was installed in the space, and neither did I know how visitors were going to react to and interact with it. I’m pleased to say that the reaction was positive, I had some interesting conversations during the exhibition and I also had anonymous feedback sheets which contained some wonderful interpretations of the work and most importantly, how it made visitors feel when they walked around it. This post contains some of my own photographs of the exhibition, but on my website you can see all the professional photographs of all the work along with the time lapse video showing the change from day to night in the exhibition. View more pictures from the exhibition here. 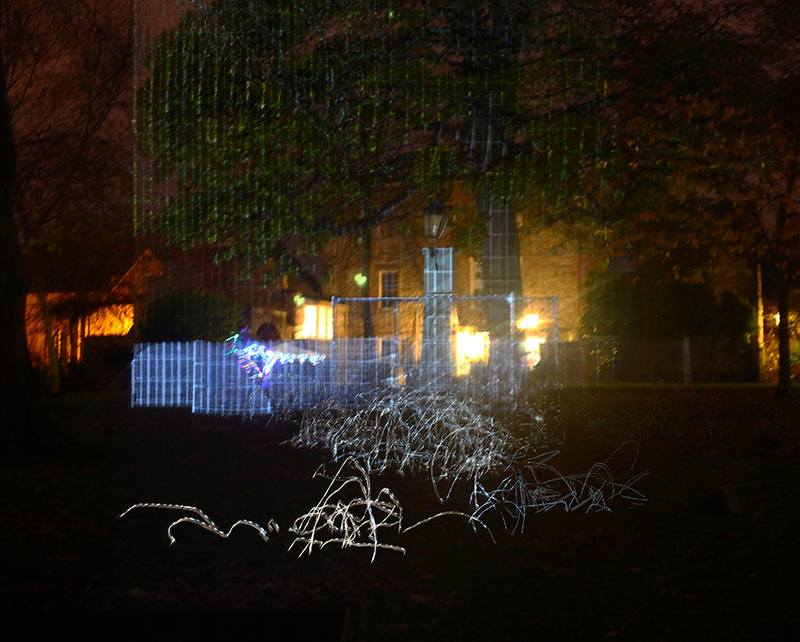 We braved the biting cold and travelled up to Durham at the weekend for the 2013 Lumiere Festival. I was so excited as it’s one of the largest and most prominent light art festivals in the UK at the moment and one of great inspiration for my practice. This year they ticketed (free) the central portion of the festival from between 4.30 and 7.30 in order to manage the crowds at the busiest times. We didn’t have tickets for this so we wandered around the outer exhibits first. 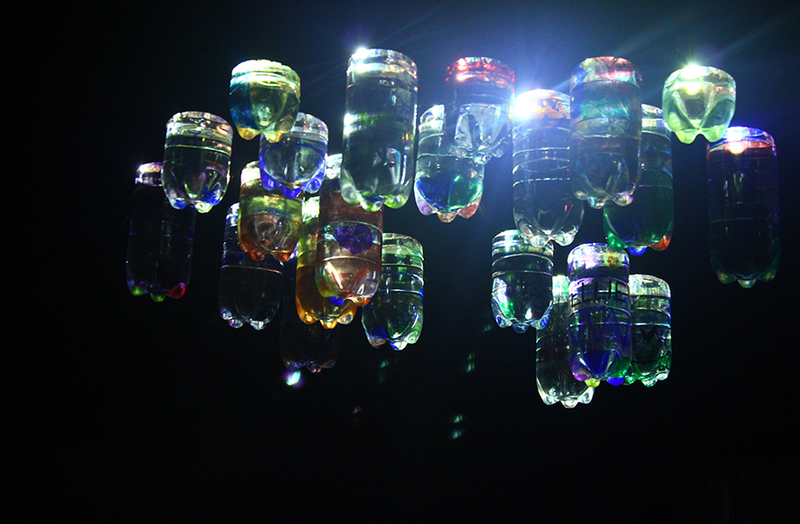 The pieces which particularly impressed me were ‘Litre of Light’ an extremely simple but effective way of using an old plastic bottle, refracted sunshine, water and chlorine to make a 55-watt solar bulb. The invention is being used to bring cheap and effective light sources to windowless dwellings across the world, it truly is a remarkable thing. The presentation here was done by Mick Stephenson. Lots of bottles had been decorated in coloured pen and placed in clustered in the walls and ceiling to create glowing growths like stalactites in a deep, dark cave. 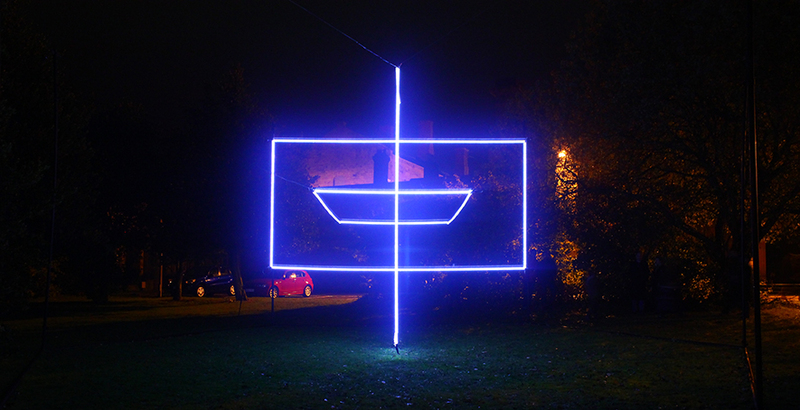 The floating interlocking rectangles of light of ‘Platonic Spin’ by Nathaniel Rackowe in the Crown Court Gardens were a quiet and uncanny beauty to come across. They drew out sequences in light which burned into your temporary visual memory to mesmerising effect. By far my favourite piece was [M]ondes by Atsara in the central area of the festival. We waited in line for over an hour to get in as the crowds of people seemed to overwhelm the city, with more and more arriving all the time (testament to Lumiere’s popularity). It was worth the wait though as the light sculpture flickered like fireflies buzzing over the gardens accompanied by ephemeral voluminous light projections marking out hypnotic shapes and spaces in the rest of the garden. I certainly love Lumiere, but I wonder how it will cope with the ever increasing crowds for next time. Last time there were a lot of people but in general we were able to amble around at leisure and happen upon pieces of work rather than being so guided (in the central zone). I think the organisers, Artichoke, did what they could to manage the crowds, but when something is so astoundingly popular but the size of the city is so small in comparison, I wonder if eventually Durham Lumiere will become a victim of its own success. I certainly hope not. 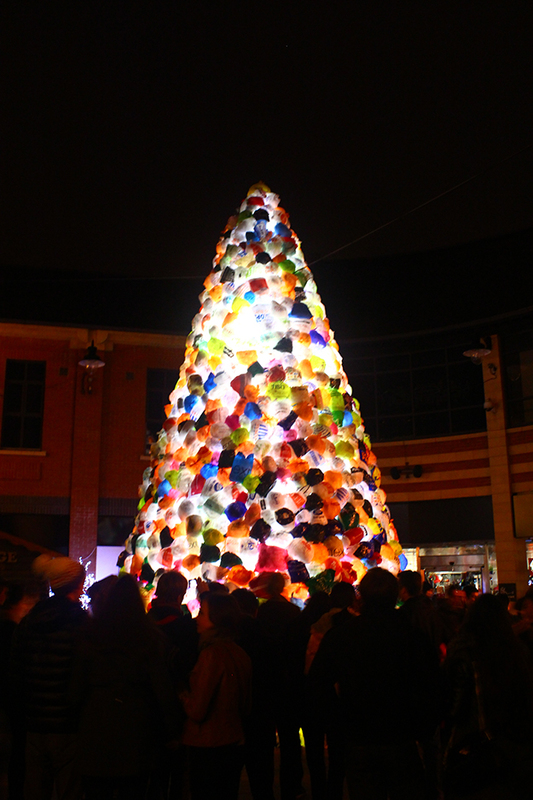 Its popularity shows the growing public love of light art and it’s wonderful to know that there are so many people who are also fascinated and delighted by the wonder that is light and all of its creative and practical possibilities.